Apologies for being a little in the day with news of Strade del Cinema, Italy’s less-heralded international festival of silent cinema and music. The festival takes place in Aosta (near Turin), at the Aosta Roman Theatre, and this year runs 6-13 August. The festival is organized by the Strade del Cinema Cultural Association and the City of Aosta, in collaboration with the Turin National Museum of Cinema/Fondazione Maria Adriana Prolo and the support of the UNESCO Italian National Commission. 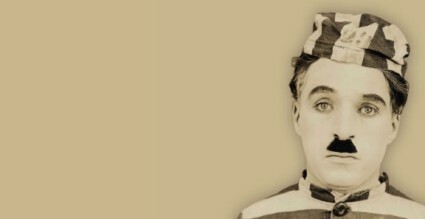 This year’s festival is dedicated to Charlie Chaplin, and is free to all. Its distinctive feature is the emphasis on music by young musicians, participants in the festival’s Young European Musicians Contest. producer: Charles Chaplin for Lone Star Mutual; director: Charles Chaplin; photography: Frank D. Williams and Roland Totheroh; with: Charles Chaplin, Edna Purviance, Eric Campbell, Lloyd Bacon, Albert Austin; release date: 12 June 1916.
producer: Charles Chaplin for Lone Star Mutual; director: Charles Chaplin; photography: Frank D. Williams; photography assistant: Roland Totheroh; with: Charles Chaplin, Edna Purviance, Eric Campbell, Lloyd Bacon, Albert Austin; release date: 10 July 1916.
production: Hal Roach pour Hal Roach Studios; director: Fred Newmeyer and Sam Taylor; writers: Hal Roach, Sam Taylor, Tim Whelan; photography: Walter Lundin; artistic direction: Fred Guiol; with: Harold Lloyd, Mildred Davis, Bill Strother, Noah Young, Westcott B. Clarke; release date : 1 April 1923. More information on the festival website (which seems to tell you a lot about the music but not much about how to get there, where to stay, and so forth).